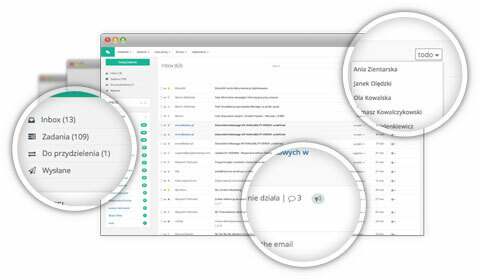 Sugester CRM is a simple yet powerful customer relationship management tool. The app is centered around and advanced client database, enhanced by indispensable features like deal tracking, funnel chart generation, recurring reminders, client sorting and full email integration. Adding our live chat to your website is as easy as it gets: just paste a code snippet into your page's source and you're ready to go. You can start chatting with your customers right away - it's the perfect tool to engage and convert visitors. The main aim of Sugester Helpdesk is to reduce the time it takes to resolve customer tickets. 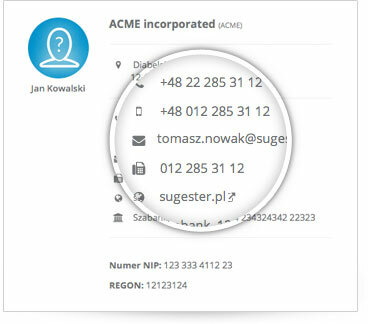 If your company has shared email addresses (such as help@company.com) this is the solution for you - our app will help you make sure that all email gets answered promptly and by the right team member. Good planning and organization are key elements of running a successful business. 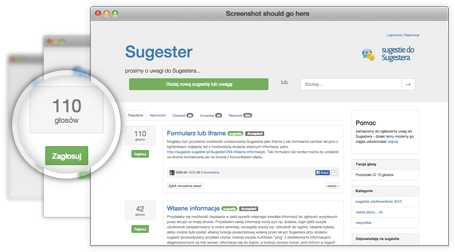 Sugester lets yoou easily create and assign tasks, group them into projects and subprojects and measure how long they take to complete. Each task can include a deadline, priority, estimated completion time, attachments and more. Sugester Knowledge Base is an easy-to-use, advanced content management tool allowing you to build a professional self-service help portal without any technical knowledge. You can write, format and edit all your entires within our intuitive WYSIWYG editor - no programming required. What better way to build a manageable community around your product than by starting a forum? Your Sugester forum can also serve as a sounding board for complaints, suggestions, ideas and more - all that without having to deal with unwieldy social media. Start your free unlimited trial now and decide later!